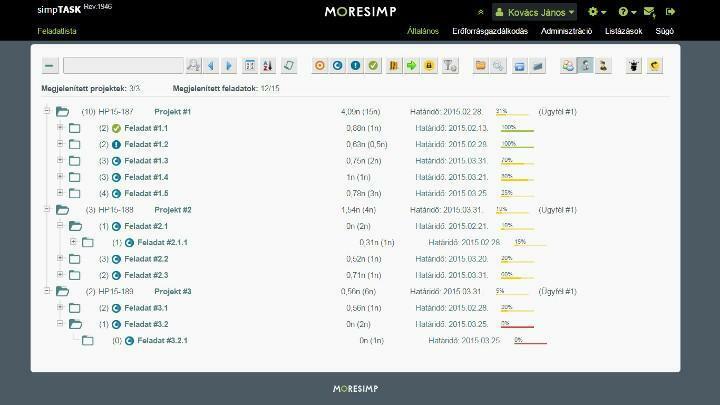 Using simpTASK project management tool you’ll always know when and which tasks to do, and how the members of your team cope with their tasks. Which tasks should I work on today? You will always know which tasks to work on, when to finish them, and how much time you can spend on each task. You can do the same at the beginning of the week, so you can inform your superior beforehand in case of overload. How well are our tasks proceeding? You will see how your team members are proceeding with their tasks, so you can intervene in order to meet the project deadline. You can also see the actual statuses of each projects and tasks as well as the planned and the actual inputs. Work logging is done by the project members. It only takes 5 minutes a day by using a clear graphical interface. 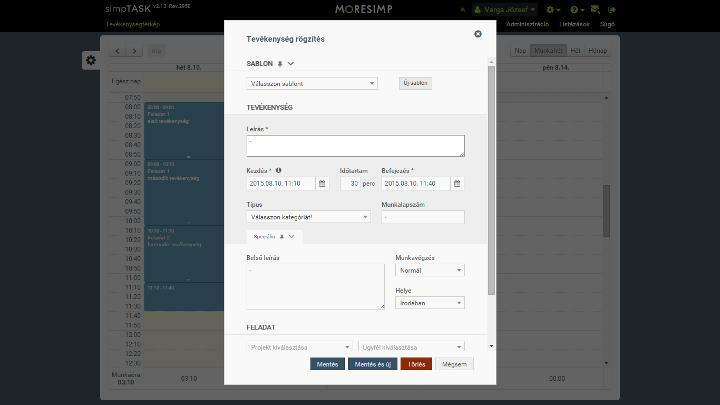 Using simpTASK’s timesheet changes the way you think of work administration.